Big data has revolutionized data analytics, but has also highlighted the need for data processing architecture that can adequately support it – including the data center itself. So how are companies today keeping the show running on the back-end? 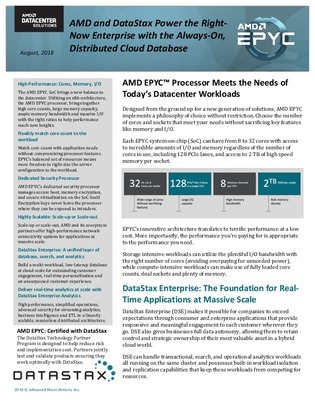 Jump into this whitepaper to learn how the right combination of reference architecture and distributed cloud databases are equipping data-heavy enterprises with the tools necessary to meet escalating application demands – without leaving cost or scalability as an afterthought.